Please register your safety status in the event of a disaster. A disaster drill for the Safety Confirmation System wil be conducted on April 27, 2016. 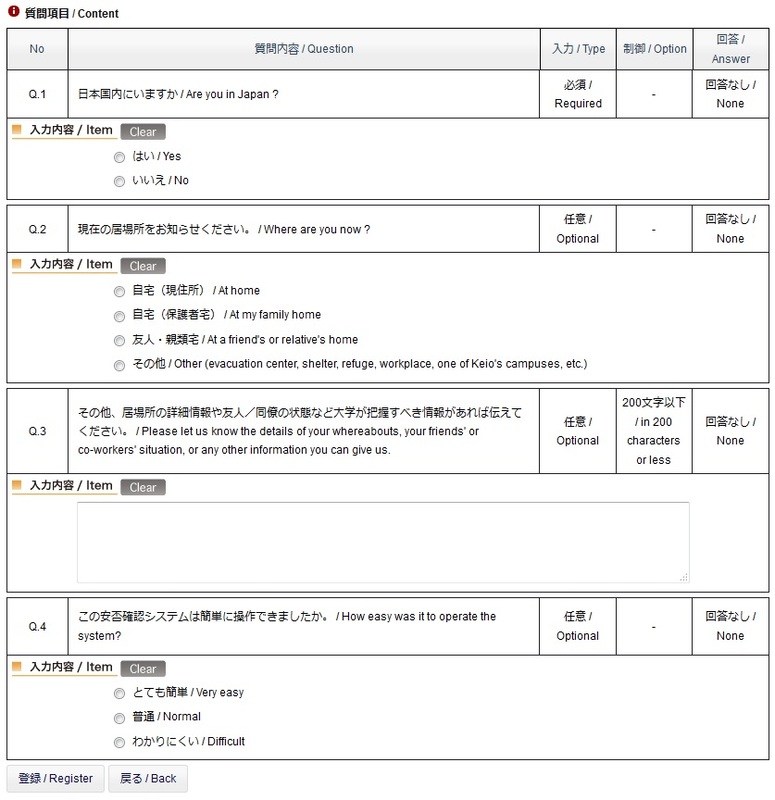 An e-mail notification will be sent to your keio.jp account. Please check and use the link inside the e-mail to register your safety status. Please register between April 27 and 29, 2016. 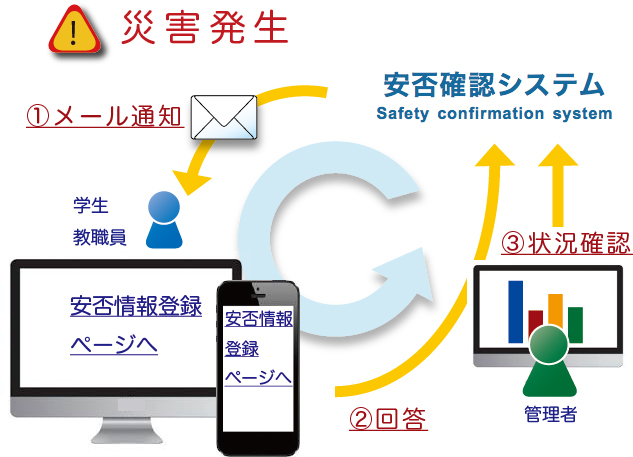 The Safety Confirmation System will send an e-mail notification to your keio.jp account. Please use the URL in the e-mail notification and respond by registering your safety status on the registration screen. The system administrator will confirm your safety status. The e-mail below will be sent to your keio.jp account. 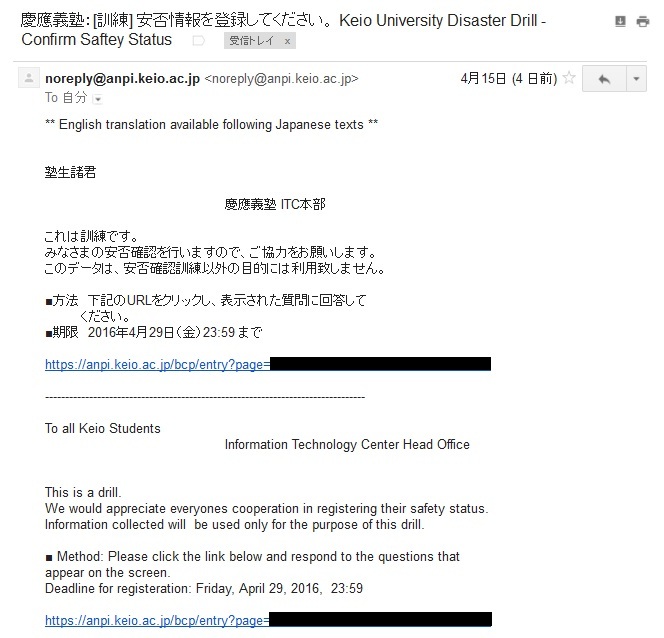 タイトル / Subject：慶應義塾：[訓練]安否情報を登録してください。 Keio University[Safety Confirmation] Please register the safety information.